Happy New Year from Apple Graphics! We hope everyone had a great NYE celebration! 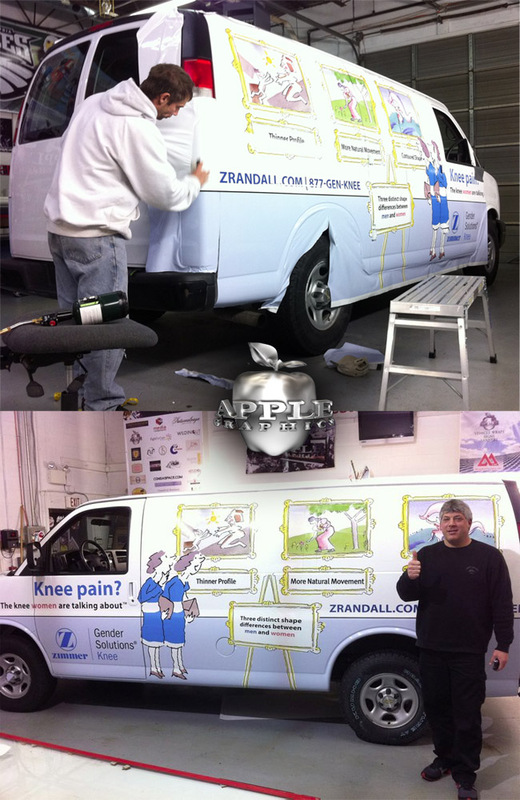 We are back to work after a holiday weekend with finishing several full van wraps for Zimmer - Gender Solutions Knee Replacement. Zimmer came to us for a complete design and wrap project that had to be completed for another mobile campaign they are doing. This is the second set of vans we are wrapping for Zimmer. We are really happy with the way these came out, the design is really one-of-a-kind! Here are some photos of the Vans and previous campaign we also wrapped. Check out some other recent wraps at our gallery.